Scans 15 pages per minute in black/white or colour. Easy connectivity with USB 2.0 interface. High speed A6 flatbed (5.83” x 4.13”). Small footprint. Only 5.7" x 9.2". Scan Station 500 With one scan, send a document to the network, to e-mail, to the printer, to fax, to a USB drive, to FTP, to Secure FTP and to FTP secure and to the “cloud” destinations such as MICROSOFT SHAREPOINT and EVERNOTE—simultaneously! ScanMate i940 The only thing worse than data trapped on paper is information trapped in your computer. With the compact KODAK SCANMATE i940 Scanner, collecting, managing, and distributing information is simple and desktop-friendly. for Macintosh With the new KODAK SCANMATE i940 for MACINTOSH computers and a unique integration with PRESTO! PAGEMANAGER from NewSoft, high quality scanning, organizing and sharing files has never been so simple. ScanMate i1120 The KODAK SCANMATE i1120 Scanner transforms your paper documents into high-quality digital images that can be managed, sent, filed, and found—easily. One push of a button puts you in control of your documents and organizes your information. i2400 Scanner The KODAK i2400 Scanner with built-in Smart Touch functionality lets you capture, manage, process, and deliver PDFs and other file formats — automating processes that previously were time-consuming. i2600 Scanner Get things flowing faster with the KODAK i2600 Scanner. It lets you extract critical information from documents at the point of entry, for quick distribution to decision-makers who need it. So money to be gained isn’t left waiting for choices to be made. i2800 Scanner Today’s business runs on information. But when that information is on paper, it can slow you down. Get things flowing faster with the KODAK i2800 Scanner. It lets you extract critical information from documents at the point of entry, for quick distribution to decision-makers who need it. So money to be gained isn’t left waiting for choices to be made. i2900 Scanner The Kodak i2900 Scanner is a robust rotary A4 desktop scanner with an ingenious book-edge flatbed scanner built right in. It features a 250-sheet feeder/elevator and consistently high throughput speed, even when imaging double-sided and color documents at up to 300 dpi. Add in Intelligent Document Protection, as well as Kodak's Perfect Page technology and Smart Touch functionality, and you've got a fiercely powerful scanner in a remarkably compact package. imageFORMULA DR-2020U The imageFORMULA DR-2020U scanner enhances office productivity with reliable, versatile, three-way scanning, ADF flatbed, and dedicated business card scanning, plus rapid, one-pass duplex scanning. This scanner's simple, user-friendly design and bundled software package make it indispensable to any office environment. imageFORMULA DR-C130 Easily integrate information into workflows with the Canon imageFORMULA DR-C130 document scanner. It reliably converts paper-based documents into high-quality digital images, and its compact footprint makes it ideal for any office environment. imageFORMULA DR-C125 The Canon imageFORMULA DR-C125 Document Scanner's innovative space-saving design makes it a standout in any office environment for improving information accessibility, management, and collaboration. Its flexibility and high image quality are only surpassed by its easy use, making it ideal for converting and capturing paper-based documents to digital format. imageFORMULA DR-M140 The Canon imageFORMULA DR-M140 document scanner is a compact and versatile solution to help reduce paperwork and improve workflows. With an out-of-the-box design, reliable handling, and advanced image quality functions, the DR-M140 is a performance-driven device that provides the basis for an intelligent document capture system. imageFORMULA DR-3010C The imageFORMULA DR-3010C compact workgroup scanner is Canon's fastest and most reliable desktop workgroup scanner. It combines many features from Canon's other high speed document scanners, along with some new features, to deliver the best to the workgroup segment. imageFORMULA DR-M160 With a combination of performance, convenience, and flexibility, the Canon imageFORMULA DR-M160 scanner is a compact document imaging solution for office environments. 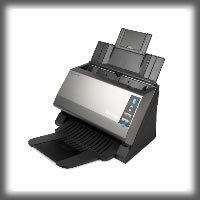 Its user-friendly design, high-quality image processing, reliable item handling, and intelligent software offer end-to-end options for capturing, converting, communicating, and controlling business information.